To its credit, the NBFC sector has responded positively to regulatory efforts. The sector has evolved from being fragmented and informally governed to being well regulated and in many instances, adopted best practices. While there are some costs associated with greater regulations, but the opportunity of being a well-regulated participant could outweigh the costs. The final guidelines released in November 2014 by Reserve Bank of India (RBI) came as a polite regulatory action. Apart from being a milestone in the NBFC regulations, these guidelines also mark an interesting shift in the regulatory approach – that of activity-based regulation. The NBFC sector has created for itself the type of differentiation that was not possible within the universal banking construct. The sector is thus, marked by remarkable diversity of players and businesses that act as an ideal and effective player of financial intermediation between the informal sector of the economy and the formal sector of finance. NBFC regulation has been tweaked over time to ensure quality processes and products. 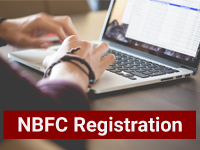 The regulatory approach intends the NBFCs to have a desire and practices to conform to global standards. 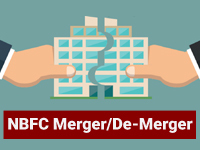 The tension, between a highly differentiated sector and the natural tendency of regulation to drive to benchmarks goes to the core of the challenge of NBFC regulation in India. The implementation of the risk-based framework is expected to close the discussion on `regulatory arbitrage’ since major arbitrage opportunities are getting addressed through harmonizing minimum capital benchmark, setting one threshold for systemic importance and making it applicable on a group basis. The government in March 2018 has set a new benchmark as it asked the non-compliant NBFCs to comply with the requirements under the Prevention of Money Laundering Act (PMLA). Interest paid to NBFCs not subject to TDS: In Azmath Ulla vs. ACIT case, the Bangalore ITAT held that the interest paid to Non-Banking financial institutions are not subject to deduction of tax at source if such interest amount was offered by such entities to income tax while filing their IT Returns. 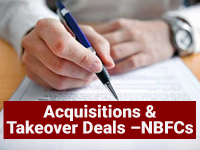 In a decision in Kotak Mahindra Ltd. vs. Trupti Sanjay Mehta of Bombay, a division bench of the Bombay High Court held that loans granted by a NBFC cannot be recovered by instituting proceedings under the SARFAESI Act, even if the loan is assigned by the NBFC to a bank or securitization company. The court held a person could be termed as a borrower for the purposes of the SARFAESI Act only if the monies have been borrowed from a bank or a financial institution. The court clarified that the definition of a borrower under the SARFAESI Act specifically excludes any other type of institution, including an NBFC. The decision of the Bombay High Court is however not binding on NBFCs which have been notified as Public Financial Institutions by the Ministry of Corporate Affairs.